A Pennsylvania man with ties to the Middle East opened fire on police officers in three different locations in the state's capital of Harrisburg on Friday afternoon. Dauphin County District Attorney Ed Marsico said it remains under investigation whether the shootings were acts of terror. One officer was wounded in the spate of shootings, but her injuries are considered non-life-threatening, police said. The suspect was killed in a gunfight with officers, ABC News reports. 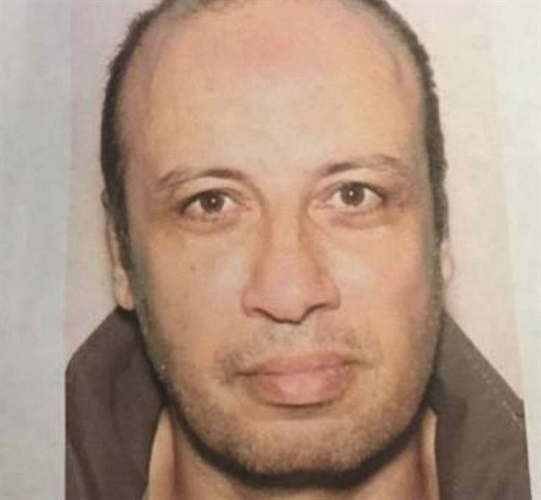 Police identified the alleged shooter as Ahmed Aminamin El-Mofty, 51, and Marsico said he recently returned from a trip to the Middle East. The first shooting took place at about 4:10 p.m. when El-Mofty allegedly opened fire on a Capitol Police officer in his cruiser, striking the vehicle several times, but missing the officer. About a half hour later, the same man is suspected to have opened fire on a female officer who was struck once, but is in good condition at a local hospital, according to Marsico. Capital Police pursued the suspect to a residential area, who then allegedly opened fire on them with two handguns, Marsico said. The officers fired back, striking and killing the suspect. None of the officers were hit by the suspect's fire. Marsico said there was "no doubt" the man was targeting police officers.